Tracy Winslow, 30, was reported missing by her family the morning of January 23, 2011 in Oil City, LA. Tracy’s family acknowledges that she did go out with friends, but believe that she returned home no later than midnight that same night. Tracy’s ex boyfriend, 40 year old Eddie Lee Jackson, is said to be a suspect and is believed to have abducted her from outside her apartment after she returned home that night. At 6am, with no sign of Tracy, her family reported her missing. Police recovered Tracy’s vehicle, a 2006 Silver Dodge Charger, approximately 18 miles from her home. It was reported that the vehicle was on fire around 2:30am the morning Tracy went missing, and had been abandoned near North Lakeshore and Kuhn’s Road. After multiple interviews and statements resulting in inconsistent information, Eddie Lee Jackson was charged with second-degree kidnapping. 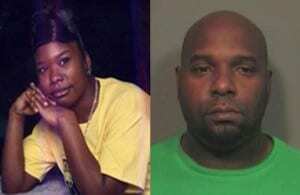 Jackson was also charged with arson as he was believed to be the one who set Tracy’s vehicle on fire. Tracy Winslow, mother of 3, and her ex had been together for 15 years before they broke up just two months before she went missing. According to authorities, Winslow had not mentioned any problems with Jackson prior to the break up.